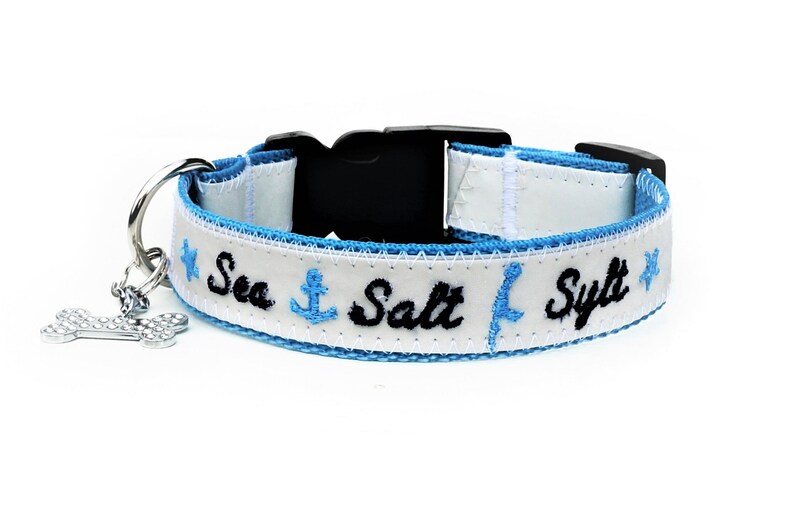 Turquoise dog collar with recycled sail for Sylt fans. 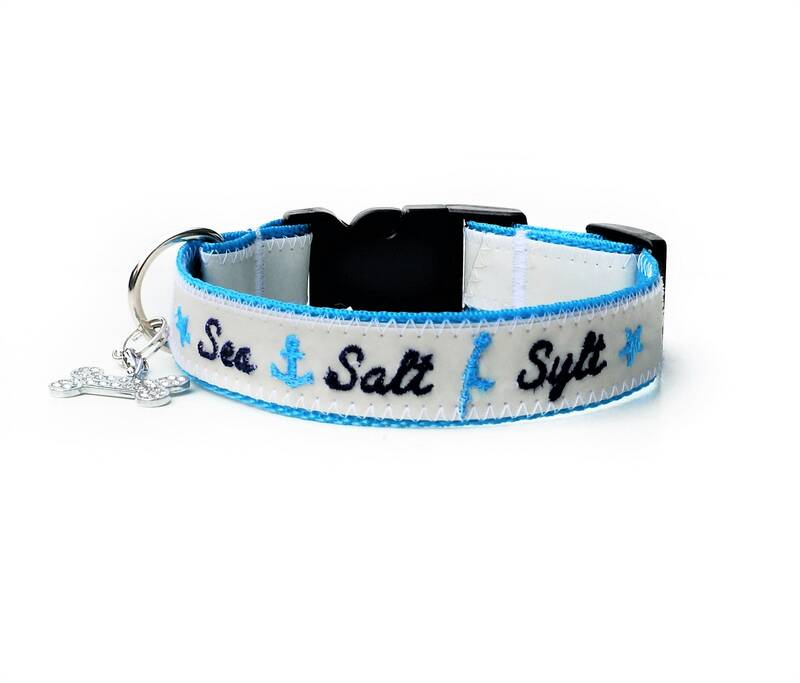 The sail is laid on a 2.5 cm wide strap. 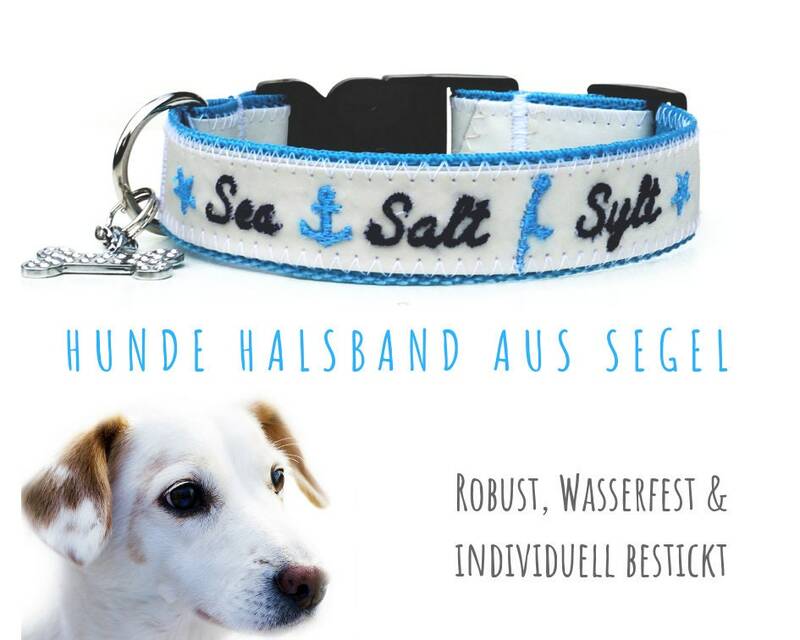 On the sail is embroidered in dark blue "SEA SALT SYLT" as well as in turquoise asterisks, anchors and the island of Sylt. 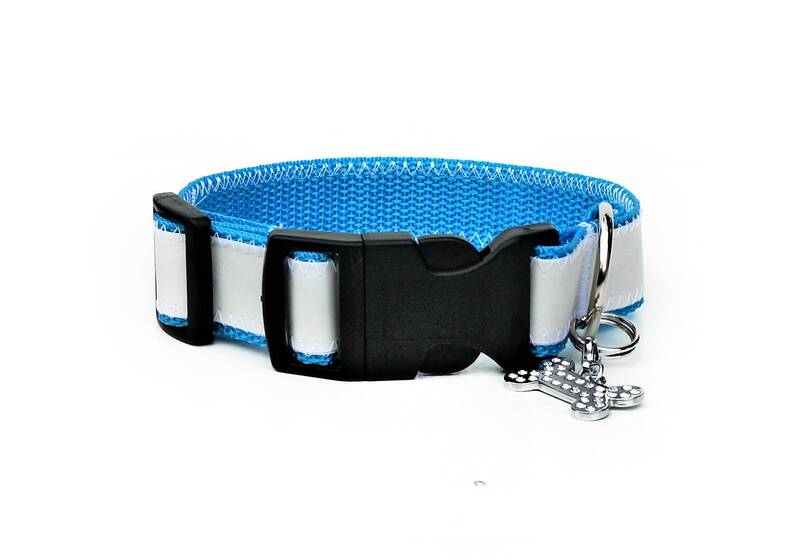 The collar is adjustable, the exact length can be precisely adjusted by means of a slider. 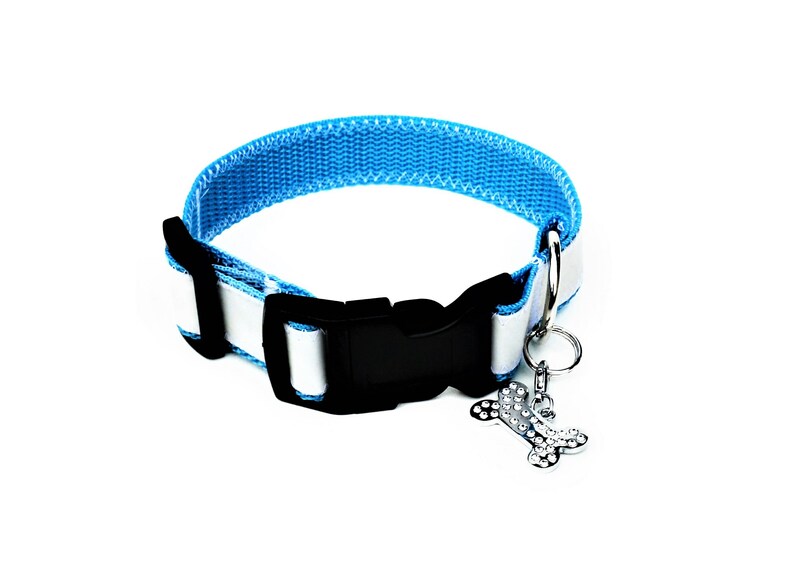 The collar is closed with a sturdy acetal buckle. 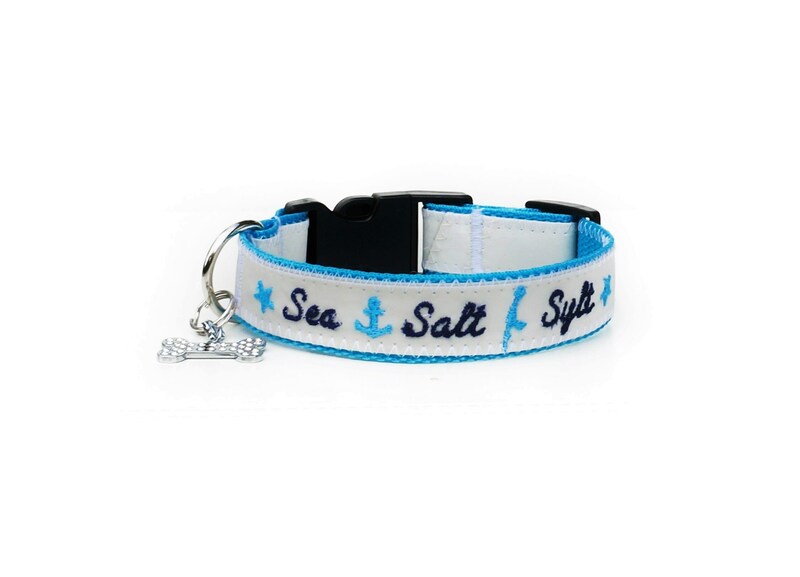 The special feature: On this collar there is a small jewelry pendant with a rhinestone-studded bone to be ordered. 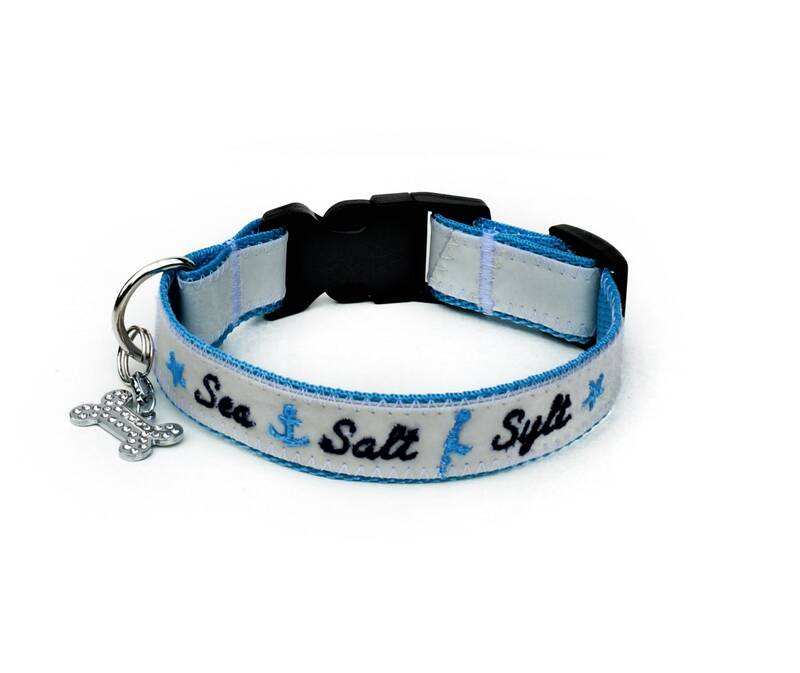 This can be removed by carabiner.